A sprinkle of good Parmesan can bring your pizza or pasta to the next level, but it’s often hard to separate the real deal from the imposter. 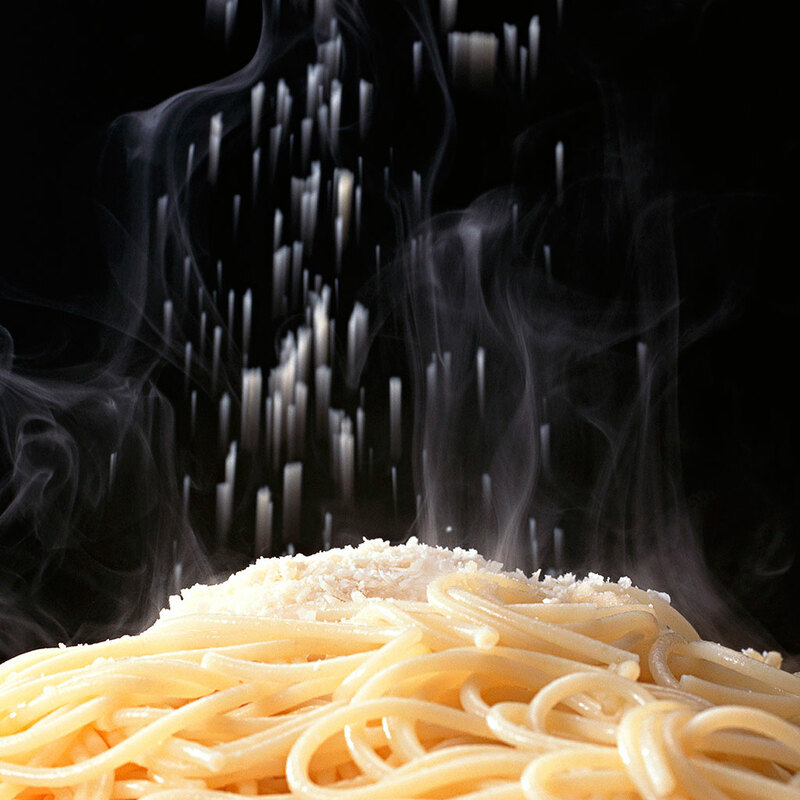 Scientists in the study Quantitation of Key Tastants and Re-engineering the Taste of Parmesan Cheese (that’s a mouthful), Hedda Hillmann and Thomas Hofmann, had the enviable task of taste-testing a variety of Parmesan cheese. For each cheese they rated how hearty, bitter, and salty it was. Once a flavor profile was established, they were able to build a blueprint of the compounds in that would recreate that flavor profile. The levels in these flavor profiles would determine what a true Parmesan is supposed to taste like, and, as a result, allow scientists to identify cases of Parma-fraud. So why is it important to determine the origin of Parmesan? “The quality of a cheese isn't just about the paste's aroma or flavor. Centuries of cheese development have brought us the styles we love and enjoy. This has come from hard work and dedication from the people who are dedicated to their craft and wish to provide the best possible product. Producers who examine and hand pick everything from which animals they milk to the amount of alcohol used on a wash create wheels that have flavor profiles that can be detected by even the most novice of palates. Quality cheese comes from love and care, not vegetable oil and desire for a strict budget,” says Aaron Heinold, cheese monger at Foragers Market. By having specific parameters of what Parmesan should taste like, there can be objective standards for making it and labeling it, anywhere in the world and create a more consistent taste and quality – absolutely a step in the right direction. “The findings are incredibly interesting and will not only help with creating a better product but most importantly can help in the assurance that counterfeit Parmesans do not hit the market—which is a major problem in the US. Just like sparkling wine can't technically be called Champagne unless from the Champagne region, real Parmesan cannot be called Parmesan unless it's held under the parameters set by Italian law. These findings will help determine that cheese that claims to be Parmesan is the real deal and not a doctored fake made in the style,” says Claire Matern, Brooklyn-based food writer and photographer, creator of A Cheesemonger's Daughter. In addition to reducing the circumstance of imposter Parm, this study allows for authentic producers to edit their process to produce better tasting cheese. Pretty much a win-win for is cheese lovers.